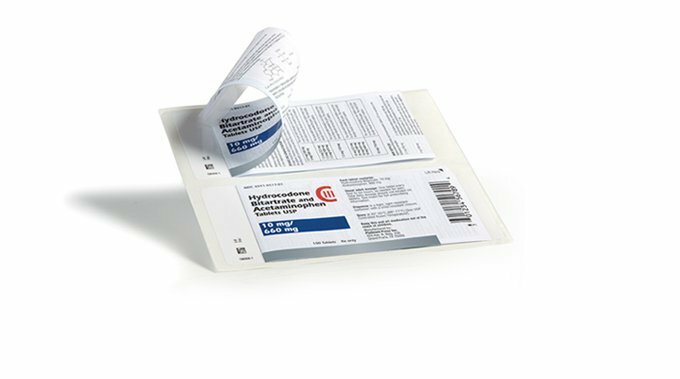 Platinum Press leads the pharmaceutical and healthcare industry when it comes to specialty labels, the ideal solution for packages with space constraints. 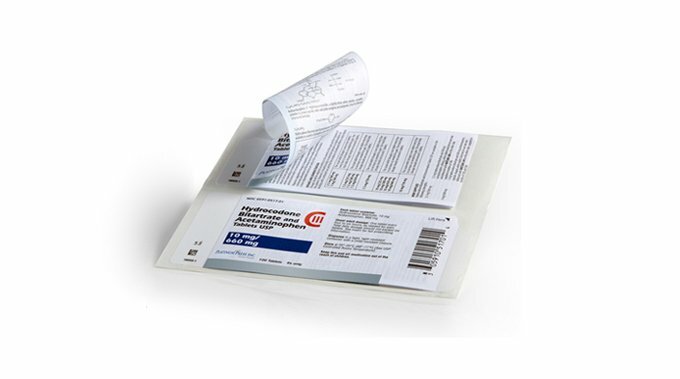 Choose these constructions to add a patient/physician leaflet or OTC monograph to your label. Our flagship Combination Label attaches your printed literature to your label to form a single printed component. Tension-release technology on this construction allows even large outserts to be combined with a label in a form that can be machine applied to round containers. Two-ply, three-ply and wrap-around labels are also available. Regardless of your application, we can provide a specialty label suited to your needs.